The Formentera Council, via its office of education and culture and councillor Sònia Cardona, expressed disappointment about “the great opportunity that the Govern Balear missed by not moving forward with plans to build the new Sant Ferran primary school.” Cardona's comments came just after an announcement last week by the regional autonomous government that it would apply a plan to improve the educational infrastructure that exists in the Balearics. Drafted with the goal of improving the quality of educational facilities, the improvement plan (Pla de millora d'infraestructures educatives) is backed by a budget of 27.7 million euros, a credit line provided by the European Investment Bank. Councillor Cardona's disappointment came upon inspection of the third item on the plan of action – improvement projects and new facilities construction. 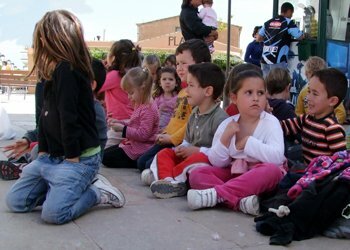 “We expected to see a clear reference made to the Sant Ferran school, but instead we saw five and a half million euros for a early-childhood and primary education centre [known as CEIP for centre educatiu infantil i primària] in Campos, three million for the remodel of a CEIP in Manacor and two million for improvements to the CEIP in Bunyola. Cardona reminds us that at the most recent debate (held in June) in which the state of the island was discussed, all of the political groups on the Council agreed to urge the regional government in Palma to accelerate construction of the Sant Ferran school. The Council has already located and turned over land for the new school, and these parcels have already been doted with the infrastructure necessary to proceed with construction. Next Saturday, 31 May, at seven in the evening, the new Casa del Poble in La Mola will open its doors to the public. The more than 300 square metre space will house a senior centre in addition to serving as a meeting space for the different associations located there (local festival organisational boards along with neighbourhood, hunting and artisan associations). The locale contains a computer centre equipped with ten computer stations as well as an already-functional group of post office boxes. The evening's activities will be open to everyone: whether residents of La Mola or not. 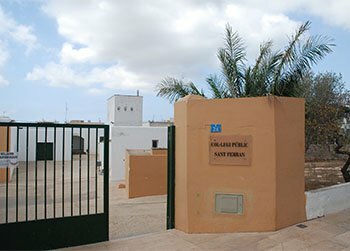 This May, Formentera families interested in applying for a spot in the Sa Miranda nursery school can contact the Citizen Information Office of the Formentera Island Council, Monday through Saturday (from 9 am to 2 pm) to process all the required documentation. The admissions and registration process opens 5 May and closes on 16 May. Upon conclusion of this process, the provisional list of admitted students will be published 5 June and, once all grievances have been attended, registration will be finalised between 23 and 25 June. This year 40 spots are available for children in the first cycle of nursery education (from 0 to 3), four more than the previous academic course. To these available spaces, we must also take into account 32 children aged 1-2 and 8 newborns that already have spaces in Sa Miranda, which brings the total to 80 pupils, a figure which could later change according to the distribution of specific groups. Once registration applications have been received, the school itself will be charged with distributing applicant students across different groups in the interest of finding spaces for the maximum number of children. Spaces must be requested during the established period, providing documentation containing the child's date of birth along with other documents and requirements necessary to the evaluation process. 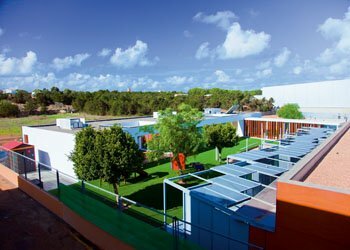 We remind readers that the Sa Miranda school is dependent on the Formentera Council and meets all of the necessary requirements in order to operate as an educational centre providing the first cycle of nursery education. EIP Sa Miranda (from the acronym for Escola Infantil i Primària) currently has on its staff nine educators and one teacher, and, as the sole public nursery school on the island, it gives an extremely comprehensive and flexible educational service, adapted to the learning needs of the population of Formentera. By law, the centre must reserve at least one spot in each group for students with special needs in educational support and in situations of social/legal vulnerability. When applications outnumber spaces available, they are scored and ordered by the centre's School Council according to the criteria established by the Regional Ministry of Education and Culture of the Balearic Islands. Priority criteria include: presence of other siblings already attending the school, family income, existing disabilities in the student, parent, legal guardian or other siblings. Complementary criteria include: status as a single-parent family, cases of one-parent custody, the student's suffering a chronic disease, or presence of multiple-births siblings. All of the relevant information can be consulted on the Council of Formentera's website at www.consellinsulardeformentera.cat, or by calling the Office of Education and Culture at 971.32.12.75. 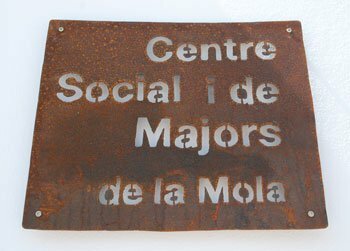 This Friday, 23 May, at 5:30pm, the Sant Francesc Retirees Club will kick off a new round of conferences and lectures as part of the Universitat Oberta de Majors (open university for the aged). The lecture series is an educational project conceived to serve Formentera's elderly population and born of the belief that any time in life is the right time to educate oneself; that – where learning is concerned – it's never too late. This year's inaugural conference carries the title “L'obesitat, un problema genètic o estil de vida?” (Obesity, a question of genetics or lifestyle?) and will be given by Joana Sánchez, professor of Fundamental Biology and Health Sciences of the University of the Balearic Islands (UIB). 23 May 2014, start of series, 5pm. ●23 May. L'obesitat: un problema genètic o d'estil de vida? (Obesity: a question of genetics or lifestyle?) moderated by Dr. Catalina Picó. ●13 June. Llinatges i malnoms de les Pitiüses: origen i curiositats lingüístiques. (Family names and nicknames in the Pitiüses: origins and linguistic curiosities) moderated by Mr. Joan-Albert Ribas. ●26 September. Però, què fa el banc amb els meus diners? (But, what does the bank do with my money?) moderated by Dr. Bartolomé Deyà. ●17 October. La geologia de les Pitiüses (The geology of the Pitiüsa Islands) moderated by Mr. Luis Alberto Tostón. ●7 November. El poblament de les Illes Pitiüses: una perspectiva contemporània sobre un element ben dinàmic. (Demographics in the Pitiüsa Islands: a contemporary look at a dynamic element) moderated by Mr. Maurici Cuesta. ●28 November. Apunts sobre història del teatre. (Notes on the history of theatre) moderated by Mr. Vicent Ferrer. 28 November 2014, closing lecture, 5pm. ●Sant Francesc de Formentera: 23 May, 26 September and 7 November. Retirees' and Pensioners' Club of Sant Francesc. Carrer de sa Senieta, s/n. ●Sant Ferran de ses Roques: 13 June, 17 October and 28 November. Sant Ferran Social Centre for the Elderly. In a press conference held this morning, councilor of Education, Culture and Local Patrimony of the Formentera Island Council, Sònia Cardona, rolled out the list of educational subsidies available in Formentera. Comprising the list is a combined total of 104,750€ in financial aid. The aid includes money for textbook purchases for early-childhood, primary and secondary studies. Some of this money is directly available to the families of students while another portion comes in the form of grants for public schools. Additional assistance – in the form of travel cost reimbursements and scholarships – is also available to students of technical programmes, university degrees, or other higher education options. Government assistance is available both to those educational centres on the island that implement the textbook re-use programme and to Formentera students of early-childhood, primary and secondary education. Several Formentera schools submitted applications for just this sort of assistance, and what resulted was a proposed financial aid package that allocated 70€ per student toward the purchase of primary school textbooks, and 90€ per student for students of the IES Marc Ferrer high school. As for individually-requested assistance packages, families with students in early-childhood education will have 50% of their total textbook bill covered by financial subsidies, while members of both large families and single-parent families will receive assistance covering 100% of their textbook bills. The Formentera Council has allocated 60,000€ for this year's package of educational subsidies. Grants will be awarded on a competitive basis; the objective being to promote solidarity and a cooperative use of textbooks and learning material in the different courses of mandatory education. Textbook assistance is given chiefly to boost the Council's participation in the fund for used textbooks in public schools. It is also a way to maintain subsidies for households with the 'large' and 'single-parent' status. Formentera is among the islands in the Balearics with the highest participation in the textbook re-use programme. Last year, 497 students from primary schools in La Mola, Sant Ferran, Sant Francesc and the island's secondary school took part. All four of Formentera's public primary schools have signed on to the programme, and in the case of CP Sant Ferran, student participation is 100%. These educational subsidies can be requested on-line on the Formentera Island Council's website, www.consellinsulardeformentera.cat, or in person at the Citizen Information Office (Oficina d'Atenció Ciutadana, or OAC) until 21 May. Students currently in university or post-graduate programmes in places other than Formentera can request financial aid for travel costs and in the form of educational grants. A total of 36,000€ is available for individual assistance in the form of travel subsidies and 8,750€ for seven educational grants for university students. The per student sum of aid for travel costs is 450€ for those students attending university outside the Pitiüsa Islands and 150€ for students of universities in Eivissa. Included in this category are all those students attending university, participating in technical programmes and completing A-levels (baccalaureate) in Art. In the year 2013 a total of 89 students availed to these subsidies: 12 who were studying in Eivissa and the remainder studying outside the Pitiüses. The Office of Culture awards a total of 8,750€ in the form of educational scholarships to cover tuition and materials, in this way fomenting the pursuit of higher education among Formentera youth and contributing to their professional training. The scholarships are 1,250€ each and are given based on family income and academic performance. In 2013 applicants totalled 32. More information about these financial aid options can be found on the Council's website, www.consellinsulardeformentera.cat and applications will be accepted by the Citizen Information Office (OAC) until 21 May. Formentera's Office of Education continues working to establishing ways to compensate for the educational isolation affecting island residents, correcting inequalities and imbalances between students from Formentera and those from the rest of the autonomous community and Spanish territory.